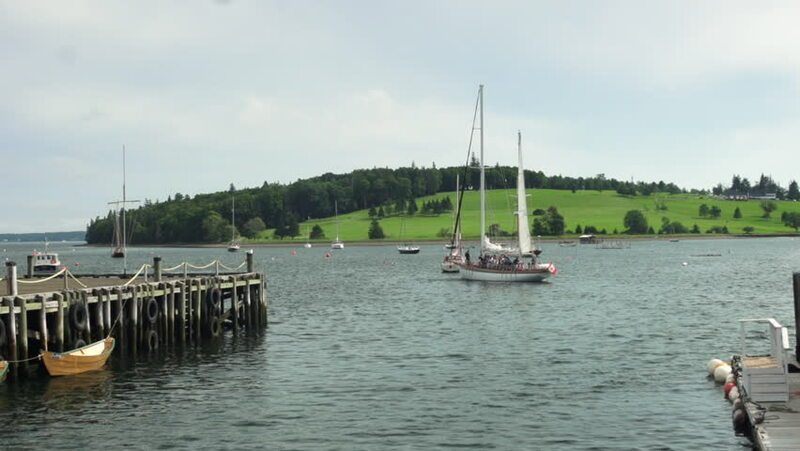 A schooner, filled with tourists, prepares to set sail by hoisting it's sails while floating in Lunenburg Harbour, Nova Scotia. Also a world heritage site. hd00:08Boat in sailing regatta. Luxury yachts. 4k00:06Fishing and Sail Boats in South Florida. Slow Speed Minimum boat speed signs. 4k00:20Water turbines add oxygen to the water. 4k00:15A peaceful evening at the river.